An extension to Stewart’s core range, this collab brings in some Dutch expertise for a Belgian Double IPA that is full-on with sweet fruit, piney hops and biscuit-flavoured malts. Look: Amber-orange on the pour with a well-lasting white head and medium carbonation; quite subtle-looking for a Belgian DIPA. Nose: Naturally hoppy, almost grassy, with those obvious bold citrus orange notes coming through, plus grapefruit and mango. Taste: Again subtle for a DIPA but obvious hints of caramel and biscuit, toasted malts; some yeast shining through. Sweet and juicy fruits in abundance: orange, pineapple, melon, maybe even some cherry tang the sugars moving to a mildly bitter finish. 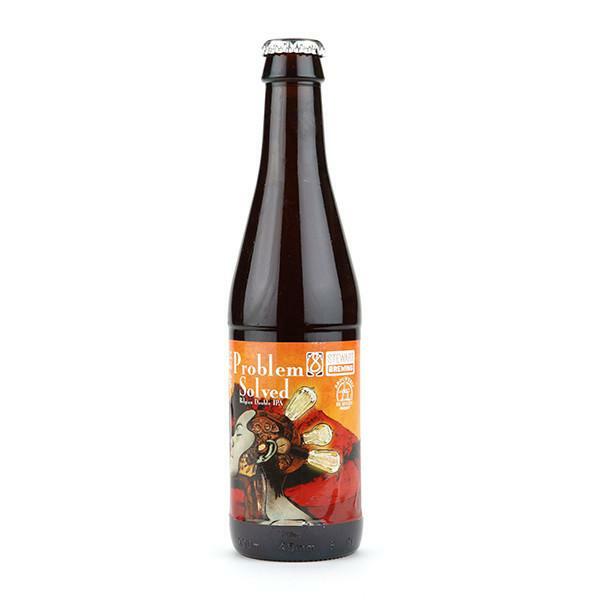 Verdict: If the “problem” was that you couldn’t find a good beer collaboration between a brewer Edinburgh and a brewer Bodegraven, then this is indeed the solution.